Eurasia is like a tree. At the roots, there is the Eurasia Network: a tightly knitted web of people, interconnected by the common values that they embody. The roots give stability, and they have been growing for many years. They reach out in all directions, representing the diverse people from various backgrounds and countries. 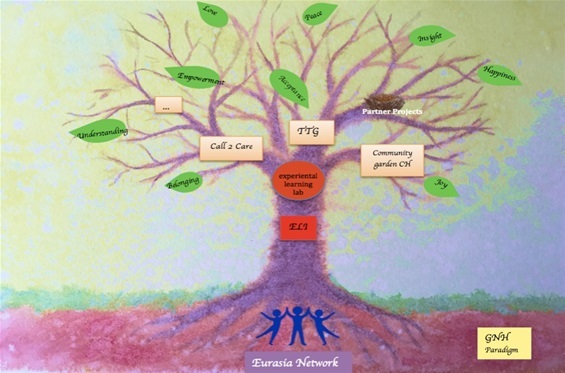 The trunk of the tree symbolizes the Eurasia Learning Institute (ELI) with all its different learning projects (trainings, seminars, workshops, like Call2Care, bio-dynamic training, Hoa Sen training, training for teachers and social educators, …). ELI is the transmission part of Eurasia that grows out of the strong network. The branches of the tree are the concrete projects that reach out into the surrounding air, which is the world as we find it. Some branches, like TTG, are strong, solid and thick. They have been growing for a long time thus allowing other branches and twigs to grow out of them. A new branch will be growing in the direction of Switzerland and it will take the form of a community garden project. 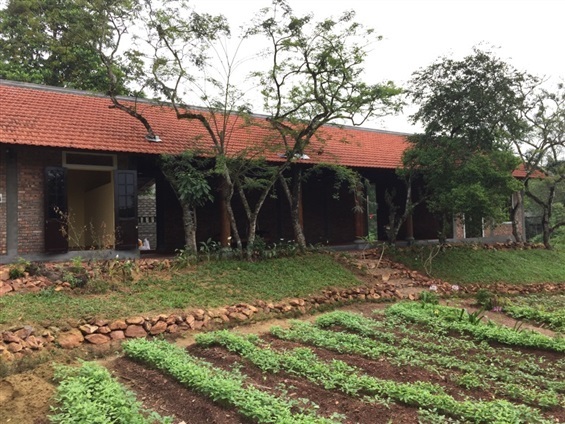 We are happy to inform you that on the 18th of April 2017 we inaugurated the new building for the ADOLESCENT PROJECT of the Peaceful Bamboo Family, Tinh Truc Gia (TTG). 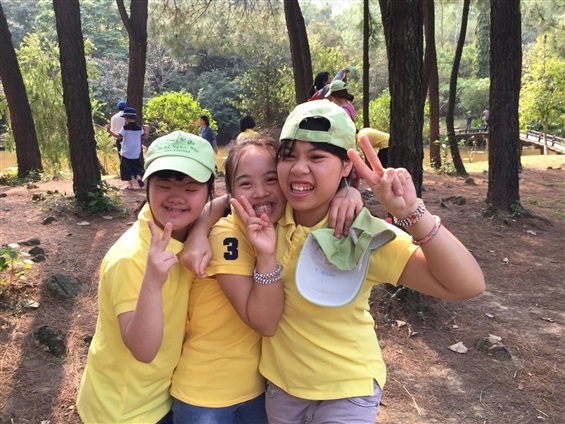 This project started a few months ago: welcoming young adolescents living with disabilities in the TTG community. We are offering them a pedagogical program adapted to their needs, and now we also have the appropriate space and building in which these youngsters can pursue their activities in good conditions. 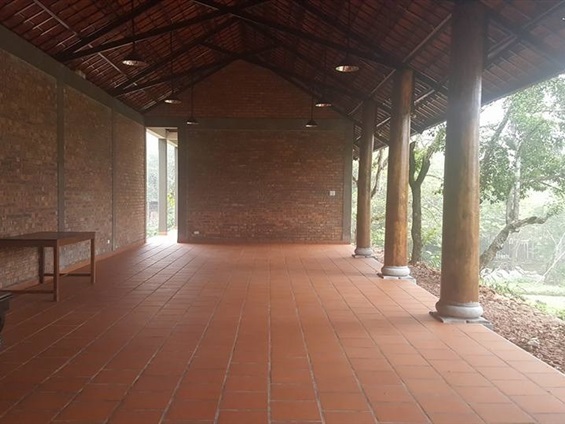 The building is beautiful, simple and functional. We thank all the donors with all our heart and deep gratitude. In January we had the first biodynamic training course guided by Mr. Hung the biodynamic gardener of TTG and Marc Blachère from Camphill Copake USA. 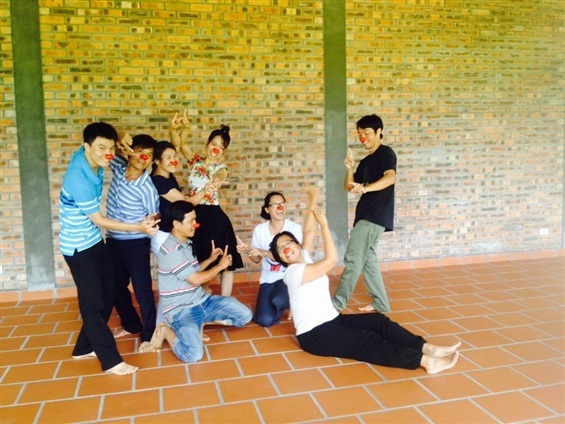 - The Kindergarten team is joining a Waldorfkindergarten training in Danang every Saturday for period of 3 months. 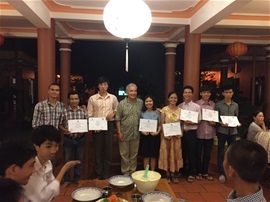 The senior TTG/Eurasia team: Mrs. Trinh, Mrs. Hoa, Mr. Khanh, Mr. Tu and Mr. Hung received ELI Trainer diplomas. All new ELI trainers have undergone a thorough and long term training with Eurasia and are now training the next generation of special educators and social therapists. It was also a great Joy to be able to give certificates of assistant social workers to three TTG youngsters: Lam, Cong and Huy who have achieved a 7 years training in TTG! This is part of our efforts to empower the young adults living with disabilities to become full members of TTG and to find recognition and dignity through their work. We have gradually moved from a situation where the educators were providing support and services to people living with disabilities; to co-creating, together with the youngsters a situation where all stakeholders contribute as partners. 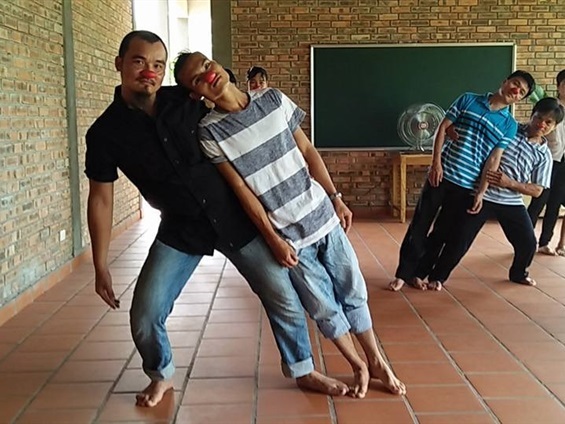 The next step is to fully empower the young people living with disabilities – together with our staff - to become co- facilitators and trainers, of the children, adolescents, students, visitors, and volunteers who come to TTG to learn about ecology, biodynamic organic agriculture, sustainable living, mindfulness, social innovation, arts and crafts, and community life. In doing this, we allow a next phase of the social integration and personal flourishing of all. 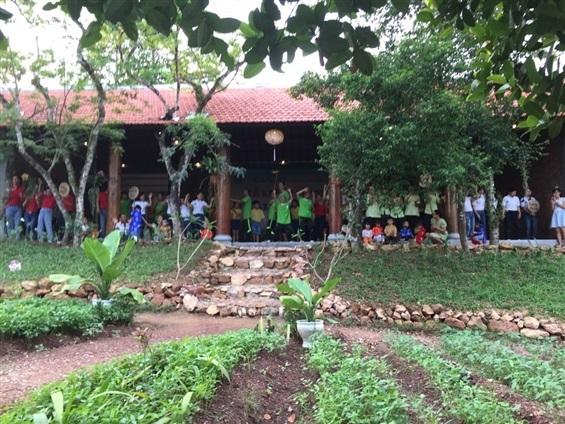 After a successful pilot project implementation in several primary schools in Hue city, Eurasia Foundation and its Eurasia Learning Institute for Happiness and Wellbeing (ELI), has the unique opportunity to create a country wide impact on the educational system of Vietnam by implementing a learning program based on Mindfulness, Compassion, Social and Emotional Learning, first in the primary schools of Hue Province and then, potentially, in all the schools of the country. This program can also gradually be adapted and implemented from Kindergarten to University. These objectives will be achieved through a Mindfulness based curriculum emphasizing Social and Emotional Learning (SEL) as well as experiential learning activities in nature. 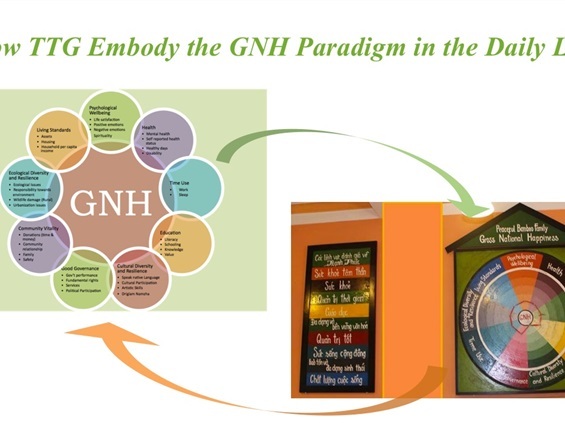 Vietnam, after a long history of wars, destruction and other challenges, could become the first country worldwide to include these inner dimensions of education in its overall school system. We need your support to bring into life this amazing opportunity. 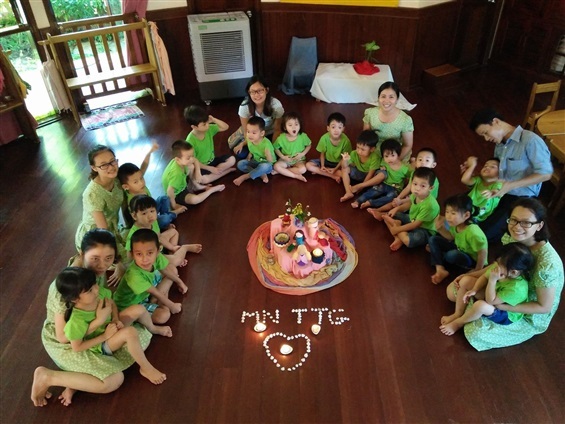 TTG’s network in Vietnam is growing through the constant effort of the TTG Eurasia and ELI team. We organize trainings events that bring awareness about TTG to a larger society. Many school classes (900 schoolchildren), and many visitors come to TTG, we get a lot of media coverage: https://www.youtube.com/watch?v=1WxpnRIVVAc&t=28s. But TTG and Eurasia do not get government support, so fundraising for the running costs remains a priority. Lisi will retire as Eurasia Foundation director this summer. We need to ensure the continuity of Eurasia and ELI work through supporting the young Team, whose Marie-Fleur Baeriswyl who is the new President of Eurasia Association. We also need support for fundraising allowing the new team to professionalize their work and develop new projects in Switzerland. The world context has changed a lot since the beginning of Eurasia, and today its not so much any more about the “developed North” supporting the “developing South”, it’s about learning from one another and meeting needs as well as protecting human dignity wherever they are challenged! 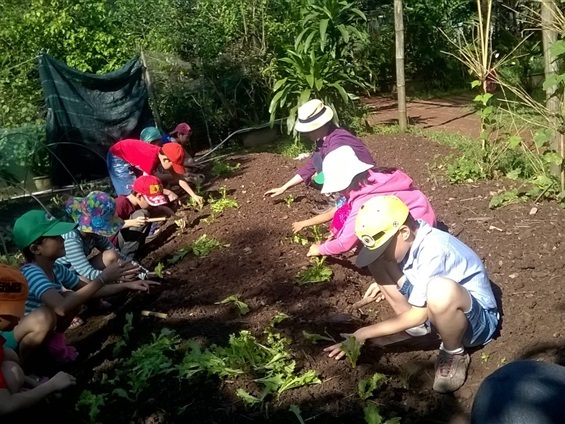 We would like to fundraise in order to create a community garden in Switzerland, bringing back what we have learned through our work in Vietnam, and integrating a diversity of people with social difficulties such refugees or young adults in need of support by creating a socially innovative and conducive environment. 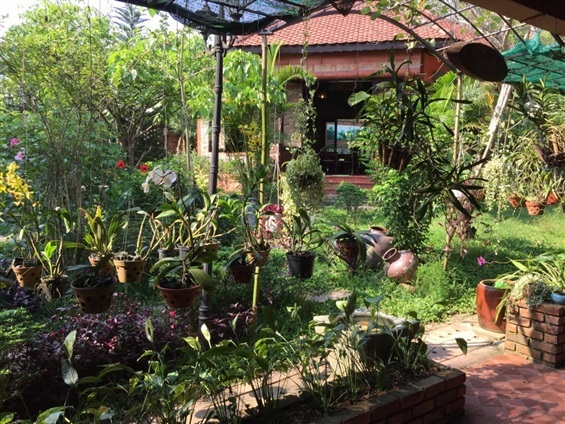 Here, just like in Vietnam, the goal is to show the potential of diversity in society and practice being deeply connected with oneself, others and nature, living in harmony and in a sustainable way for our common future on our Planet. Please note the date! The Eurasia day in Switzerland will take place on the 3rd of September in Perceval, St. Prex! A great program is awaiting you and a detailed program will be sent soon. Dear members, friends and sponsors, we send you our heartfelt gratitude for your ongoing support, all these projects that have brought Happiness and Wellbeing to many, and have alleviated much suffering can only happen through your generosity and your support.